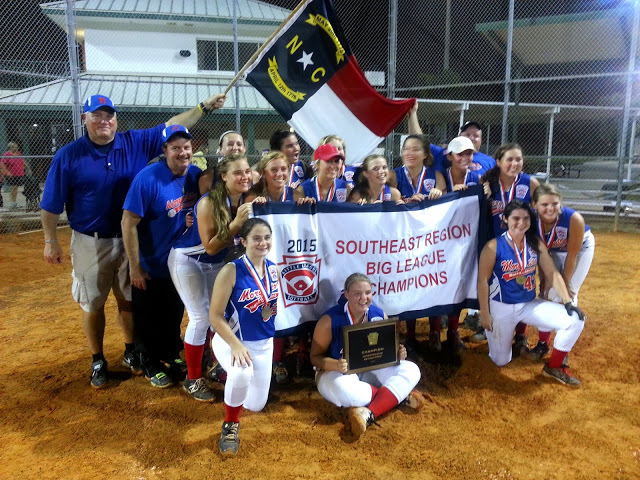 Morganton was one of ten (10) teams to qualify for the 2015 Big League World Series in Sussex, Delaware. The team won the Southeast Regional's defeating teams from Virginia, Florida and Tennessee to advance to the World Series. Morganton received state and national recognition from ESPN during the tournaments. Teams representing 5 international regions and 5 U.S. regions competed for the Series 2015 title. © Copyright 2016 City of Morganton Parks & Recreation. All Rights Reserved.